WordPress now has proven to be not only awesome blogging platform but also most popular Content Management System (CMS) of our time. Only blogs that serve a purpose and bloggers whose passion is to blog, win at the end of the day. 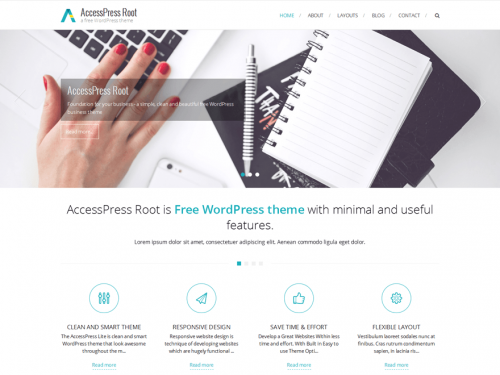 And to have a great start, you will need the best WordPress theme for your blog. In our today’s post you can find top 15 fantastic boxed free WordPress themes that are useful for your new WordPress projects. These themes are elegant and fairly simplistic, so they can be used for just about any purpose. Whether you want to create a site for your business, photography, art, writing, personal blog or just for fun, you’ll find it in this list. You can create personal blog, magazine, business, corporate, photography, portfolio and any kind of sites with these themes. They all should be easy to setup and can power sites of all sizes. If you enjoyed this post, please consider to leave a comment or subscribe to the feed and get future articles delivered to your feed reader. If you like our art collection, so check out these other posts will interest you too: Excellent Free Admin Login WordPress Plugins, Stylish Free Custom Menu WordPress Themes, Amazing Free Timeline WordPress Widgets and Powerful Premium WordPress Themes for Agencies. Zion is a full responsive Multi-Purpose theme suitable for Business. Zion offers a boxed layout featured image slider built using cutting-edge technology, lightweight assets, and offers featured image support. 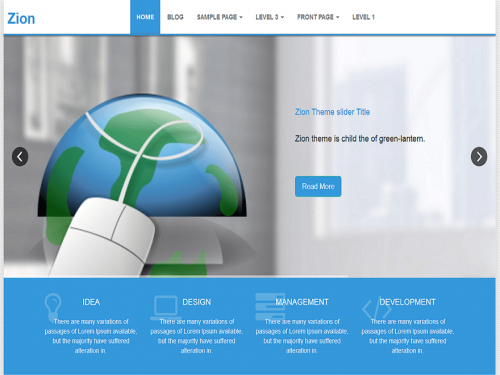 You can use Zion theme for your business, blogging or any type of site. Zion is Responsive and flexible based on BOOTSTRAP CSS framework that adapts your website to mobile devices and the desktop or any other viewing environment. 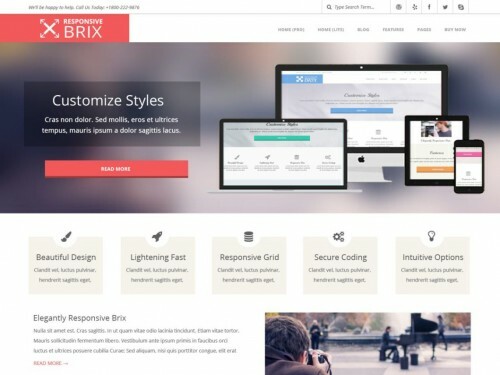 Responsive Brix is a minimalist, fast loading, retina-ready, responsive theme with a modern bold design and easily customization options. It is perfect for web agencies, studios, photography, portfolio, churches, corporate, personal and business websites. Easy to configure and customize, Responsive Brix comes with Full Width Stretched and Boxed layouts, beautiful HTML and image sliders, lots of color options, easy logo upload, 360+ font icons, pagination, custom widgets, sidebar options, and a lot more. AccessPress Basic is a simple, basic & clean. 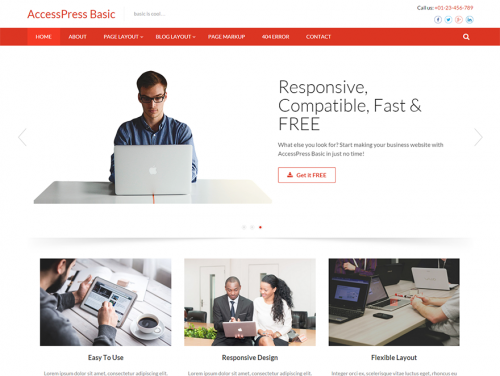 It is beautifully designed responsive free WordPress business theme. It has useful features to setup your website fast and make your website operate smoothly. It doesn’t have much features which you probably won’t use at all! Full width and boxed layout, featured slider, featured posts, services/features/projects layout, testimonial layout, blog layout, social media integration, call to action and many other page layouts. 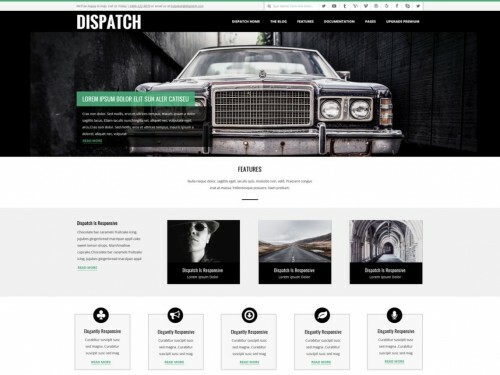 Dispatch is an easily customization, fast loading, retina-ready, responsive theme with a modern bold design. It is perfect for web agencies, studios, photography, portfolio, churches, corporate, personal and business websites. Easy to configure and customize, Dispatch comes with Full Width Stretched and Boxed layouts, beautiful HTML and image sliders, lots of color options, easy logo upload. 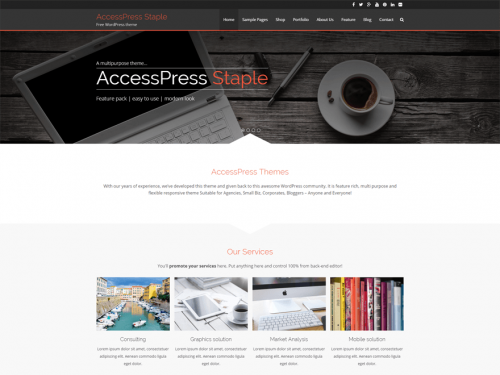 AccessPress Staple is a simple, clean, beautifully designed responsive WordPress business theme. Its minimal but mostly used features will help you setup your website easily and quickly. Full width and boxed layout, featured slider, featured posts, services/features/projects layout, testimonial layout, blog layout, social media integration,call to action and many other page layouts. Fully responsive, WooCommerce compatible, bbPress compatible, translation ready, cross-browser compatible, SEO friendly, RTL support. 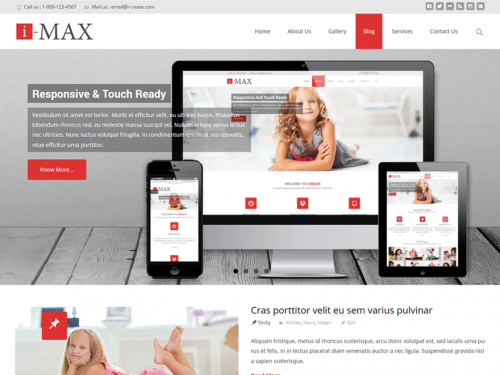 i-max is a responsive, retina ready multipurpose WordPress theme for business, portfolio, personal or blog websites. i-max is packed with many premium features like boxed/wide layout, unlimited color, custom background, multiple blog layout, social media links, custom slider and much more. i-max also comes with a plugin “TemplatesNext Toolkit” to give you power to create your own layout using rows and columns, services, multiple style of portfolio, custom blog/post/news layout, testimonial, call to act etc. 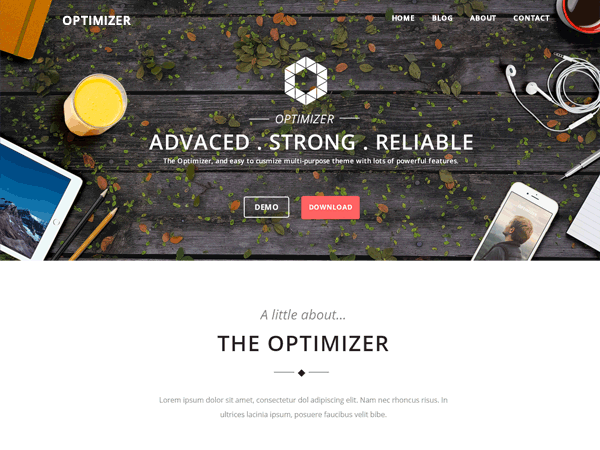 The Optimizer, an easy to customization multi-purpose theme with lots of powerful features. This theme lets you customize each element Live without you having to touch any code. The theme comes with 2 site layout: Full width & boxed, Beautiful image slider, easy Logo upload, 600+ Fonts, powerful theme options, Custom CSS Field & lots of Color options. The optimizer is 100% responsive built with HTML5 & CSS3, it’s SEO friendly, mobile optimized & retina ready. Its translation ready, ready for WooCommerce, bbPress, Mailchimp, Contact Form 7. 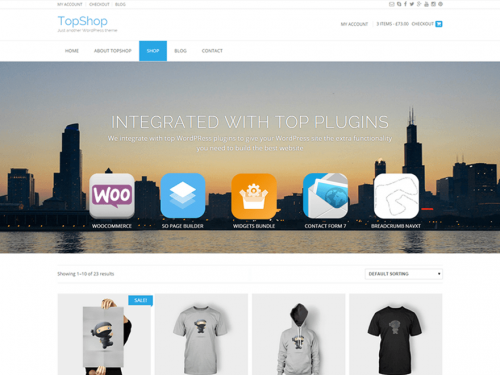 TopShop is the perfect theme for all users from the beginner to the developer. With all our settings built neatly into the customizer you can easily edit the website live before publishing. We’ve packed a lot of settings into TopShop from 2 header layouts, full-width or boxed website, different blog layouts, adding social links, unlimited color selection and being able to change the colors of lots of elements from fonts to naviagtion and lots lots more. HappenStance is an easily customization theme which can be used for your Blog, Magazine, Business, eCommerce or Events website. It is a fully responsive and Retina ready theme that allows for easy viewing on any device. 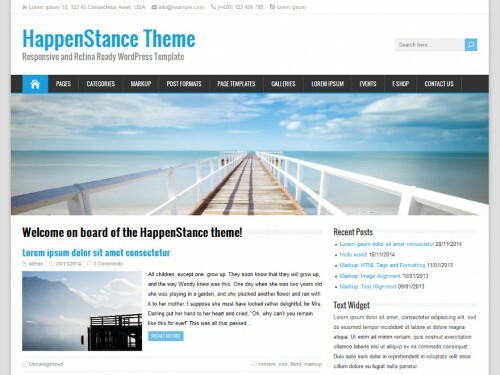 HappenStance theme offers 4 pre-defined color schemes, 220 Google fonts, Theme Options panel for easy adaptation to your needs, selection between Boxed or Wide layout, 2 blog layouts. 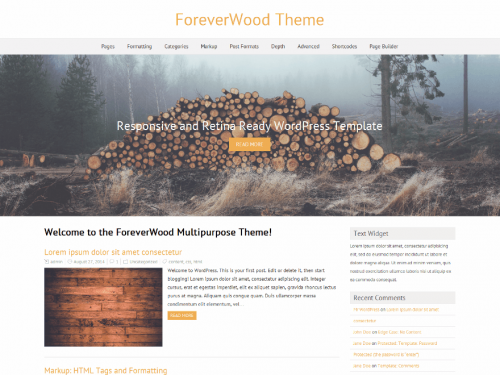 ForeverWood is an easily customization multipurpose theme. 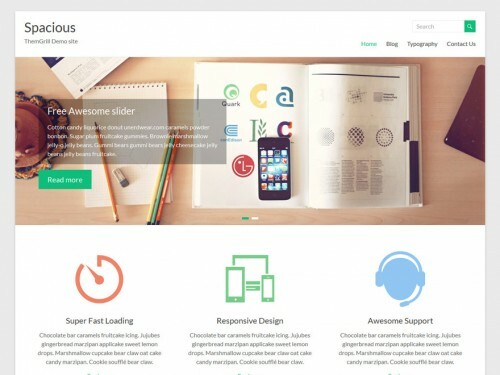 It is a minimalist, fully responsive and Retina ready theme that allows for easy viewing on any device. ForeverWood theme offers 3 pre-defined color schemes, 220 Google fonts, Theme Options panel for easy adaptation to your needs, selection between Wide or Boxed layout, 2 blog layouts (One Column and Masonry Grid), 2 header layouts, sidebar and footer widget areas. GalaNight is an easily customization theme which can be used for your Blog, Magazine, Business, eCommerce or Events website. It is a minimalist, fully responsive and Retina ready theme that allows for easy viewing on any device. 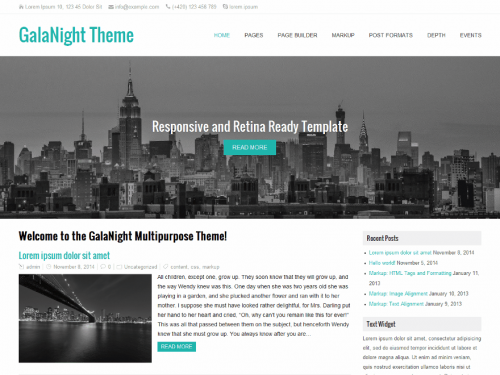 GalaNight theme offers 3 pre-defined color schemes, 220 Google fonts, Theme Options panel for easy adaptation to your needs, selection between Wide or Boxed layout, infinite scroll for the post entries, sidebar and footer widget areas. 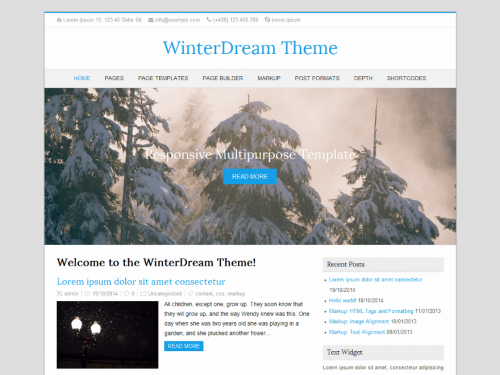 WinterDream is an easily customizable multipurpose theme. It is a minimalistic, fully responsive and Retina ready theme that allows for easy viewing on any device. WinterDream theme offers 3 pre-defined color schemes, 220 Google fonts, Theme Options panel for easy adaptation to your needs, selection between Boxed or Wide layout, 2 blog layouts (One Column and Masonry Grid), sidebar and footer widget areas, multiple header layouts, contact information in header, ability to set your header logo and favicon, theme documentation and much more. 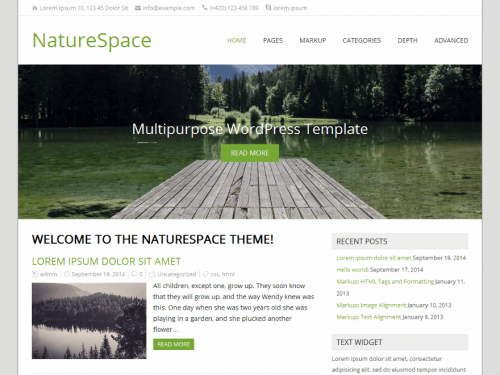 NatureSpace is an easily customizable multipurpose theme. It is a minimalistic, fully responsive and Retina ready theme that allows for easy viewing on any device. NatureSpace theme offers 3 pre-defined color schemes, 220 Google fonts, Theme Options panel for easy adaptation to your needs, selection between Boxed or Wide layout, 2 blog layouts (One Column and Masonry Grid), sidebar and footer widget areas, multiple header layouts, contact information in header.